Sometimes the threat is from nature, other times people. No matter where the threat comes from, 3M Safety and Security Window Films can help you be prepared for the worst. When natural disasters like hurricanes, tornados, high winds, and earthquakes hit, there is little you can do to protect your building. But by planning ahead, your building can be prepared for the worst. Glass can be your worst enemy in severe weather and storms. 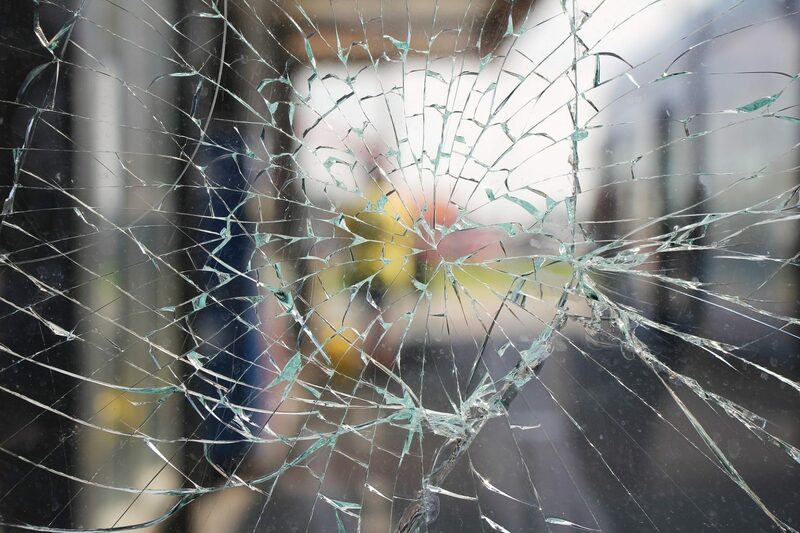 When unprotected glass breaks, shards can be sent flying causing severe injury to people and major damage to property. During a disaster, 3M Safety and Security Window Films help hold the glass together to maintain the integrity of your home. This also helps to keep flying glass from harming inhabitants and, in many circumstances, keeps out wind and rain. to such a degree that they may choose to move on to an easier target. Building Safety and Security into your windows: There are times when the world is a dangerous place. Hurricanes, tornadoes, severe winds, bomb blasts and even earthquakes can cause glass to shatter and send shards flying. During these disasters Safety and Security Window Films help keep flying glass from harming inhabitants. The average Tornado will cut a path about 6 miles long and 140 yards wide. the average length of a Tornado is around 10-15 minutes, moving usually toward the northeast around 35mph. the average windspeed associated with a Tornado is close to 200mph, but with the more violent F4 and F5 Tornados, the winds are approaching 300mph. 113mph, which is light enough for a secured mobile home to withstand. F2 and F3’s cause most of the damage on a yearly basis, because of their high frequency. but, when F4 and F5 Tornados occur, their damage is catastrophic. Tornados aren’t the only producers of strong damaging winds. heavy downpours will produce a draft known as straight-line winds that usually occur in advance of a storm system. these winds can easily exceed 75mph and can cause damage similar to an F0 or F1 tornado. 3M Company did it again! It married two of its best window film technologies to create ULTRA Prestige Safety & Security Window Films. Combining 3M’s multi-layered films with nano-technology means that you can have a security film that offers up to 97% infrared heat rejection to protect your home or office from bomb blasts, natural disasters, and smash-and-grab crime. Now you get all the benefits of 3M’s Prestige Sun Control Films and 3M’s Safety & Security Films all in one package. Prestige window films must be installed by a 3M-authorized Prestige window film dealer. Contact Energy Control of Iowa today at (319) 423-9663 to learn more about the security window film services that we offer. We would be happy to arrange an absolutely free, no obligation consultation and estimate on implementing window film on your next project.